I'm not sure exactly how this smartphone app makes money, but I believe it is still a free download. Waze is a fully functional, user friendly, social navigation system. I've used it for over a year, in Panama and Canada, and aside from it wanting to route me through some pretty dangerous areas of Panama City to save me time, I have had 0 complaints. In fact I love it. By social, I mean in real time, you can send messages to other users, warn them of hazards, police, and accidents, and the system even monitors the speed at which the users are driving, so that it can calculate the fastest route for you. The only catch is that you do need a data plan to use the app. This means that if you are just a visitor to Panama, you should have a sim card with a local data plan, otherwise it could get pretty pricey. Waze is a worldwide app, so no matter where you go with your telephone, you can navigate with it. The construction of the new Rio Hato airport is almost done. More properly speaking, it is a reconstruction of an old airstrip that was built by the US military during World War II and since then has gone through various phases of use and abandonment. It is intended to be a domestic and international airport, with the area’s fresh seafood and produce headed out toward the world’s markets and tourists coming in and out on charter flights. The project is probably way over its initially stated budget, but these matters are guarded as state secrets by the current administration. As originally described the project would not have met international standards for airport security, but as you can see from some of the photos — especially those of you who know what the place looked like before — a far stronger set of security measures has been incorporated into the project and that would have driven up the cost. In the immediate vicinity where airplane noise becomes a factor, property values may take a hit. However, it is expected that for the general area from about Coronado to Penonome, the convenience of a nearby airport will be a huge selling point and property values will appreciate. Much of that factor depends on whether international passenger service other than charter flights will connect Rio Hato to points abroad, and the extent to which the rebuilt airport will be conveniently integrated into the nation’s domestic air passenger systems. Certainly it would be more attractive for many foreigners to live in or visit Santa Clara by flying in and out without having to make the drive from Panama City. 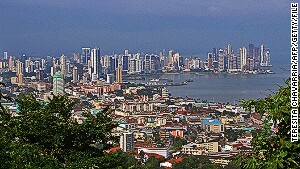 According to the Economist Intelligence Unit, Panama City is the world’s third cheapest major city. Over the past decade, however, Panama has enjoyed the fastest growing economy in Latin America, bringing new luxury hotels, restaurants and services. 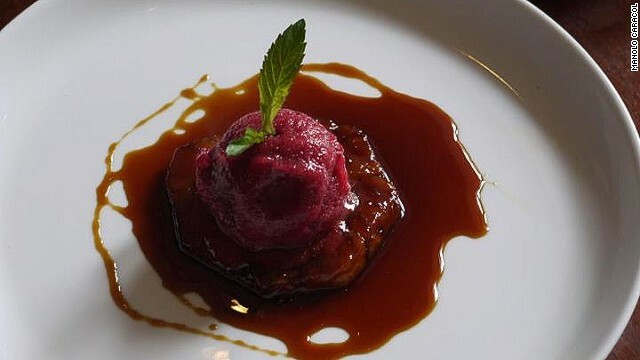 For the indecisive gourmand, Manolo Caracol serves a fantastic nine-course tasting menu for $36 per person. Blueberry ice cream with sugarcane honey (pictured) is a typical dessert. 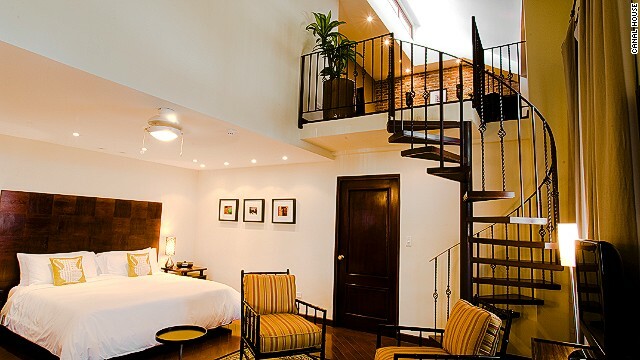 In the old town of Casco Viejo, the Canal House has just three suites (from $320 per night) set around a large wooden staircase. The high-end guesthouse is owned by two sisters and loved for its quirky charm and homemade cooking. Latin America’s first Waldorf Astoria hotel opened in March 2013. Book early and rooms start from $159, with that swanky pool included. It’s not just about heavy shipping. 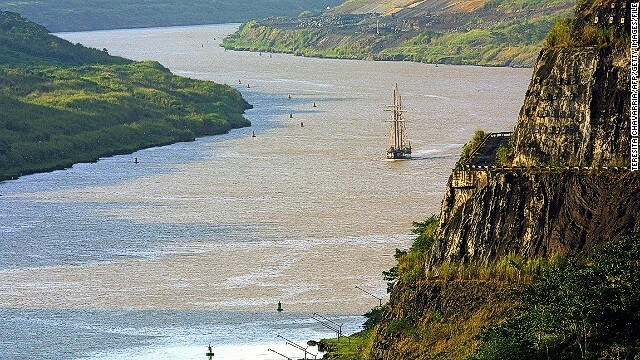 The Panama Canal is one of the world’s true man-made marvels, and beautiful, too. Numerous land, water and aerial tours are available from Panama City. 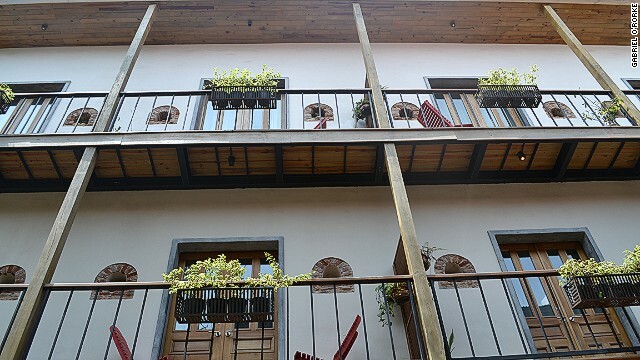 Casa del Horno is a pretty boutique hotel on a colorful cobbled street in Casco Viejo. Surrounded by churches and plazas, it’s one of many colonial buildings to be renovated in recent years, making Casco Viejo feel a bit like Cartagena in neighboring Colombia. The year-old Tantalo Hotel has brought a new sense of style to the capital. Each of its 12 rooms was designed by a different Panamanian artist. Designs range from gentle and flowery to seductive, with red and black walls and silver ceiling studs. New everything seems to be sprouting up across the capital. Healthy competition is keeping standards high and Panama City now has a plethora of top-quality, luxury experiences for cut prices. 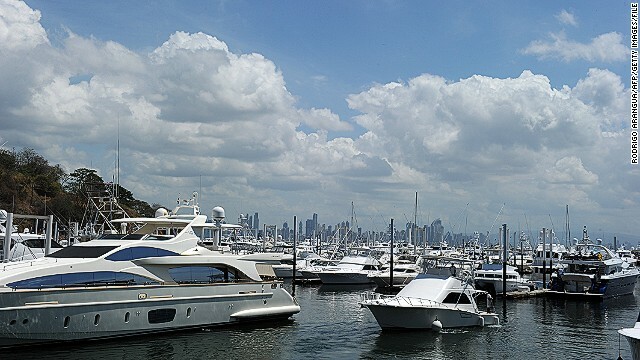 Affluence is bringing sights like these yachts to Puerto Amador, a Panama City suburb. (CNN) — When the Economist Intelligence Unit released its most recent Worldwide Cost of Living Survey, the spotlight, as ever, fell on the world’s most expensive cities. Tokyo came in on top of the pile of places that drain the color from your wallet, while Osaka and Sydney were second and third. But what about the other end of the spectrum — how about a holiday where you can live it up without hemorrhaging cash? The world’s cheapest city is Tehran, Iran, followed by Jeddah, Saudi Arabia. Both have rich heritages, but Iran and Saudi Arabia are better known for generating controversial headlines than attracting tourists. In third place, however, Panama City popped up. The Central American country is best known for hats and a canal — now we’ve got a reason to make sure our passport is up to date! Over the past decade, Panama has enjoyed the fastest growing economy in Latin America. As a result, new hotels and restaurants have sprouted across the capital. Healthy competition is keeping standards high, and Panama City has a plethora of top-quality, luxury experiences for cut prices. 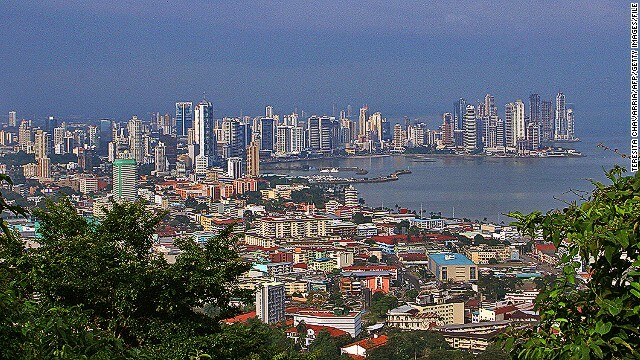 Panama City is the most affordable capital city in the Americas. Before stepping foot outside the airport, you’ve started saving. All tourists arriving at Tocumen International Airport are given travel insurance for 30 days. It is granted by the Panamanian Tourism Authority; the government has provided the service since it signed an $8 million deal with Assicurazioni Generali. Next up: cash. The Panamanian balboa is linked with the dollar and the two currencies are interchangeable, so there’s no paying a commission for changing currency. As for airport transfers, a standard taxi to the city center costs $28. You could arrive in style with a Panama Luxury Limousine for $88.50. The same service would cost $145 in Rio de Janeiro, or $427 in Tokyo. More cents can be saved (and you can do your bit for the environment) by avoiding bottled water. Tap water in Panama City is safe to drink, not a given in the region. Latin America’s first Waldorf Astoria hotel opened in March 2013. Book early and rooms start from $159. Located on Calle Uruguay, aka “restaurant row,” the 248 rooms have metallic, glass and crystal decor designed by Miami-based Ba-Haus/KNF. A stay here certainly doesn’t feel like skimping. The outdoor swimming pool is covered in gold tiles, there’s a swanky spa and each guest is given a personal concierge. Overseen by head chef Kalych Padro Alvarado, four restaurants include a sushi bar and a French brasserie. Founded in 1501, Panama was a Spanish colony for three centuries. Known as Casco Viejo, the historic part of the city is a UNESCO World Heritage Site. Casa del Horno (Oven House) sits on a colorful cobbled street in Casco Viejo. Surrounded by churches and plazas, it’s one of many colonial buildings to be renovated in recent years, making Casco Viejo feel like Cartagena in neighboring Colombia. Built in the 1850s, the eight-room hotel was originally a bakery. Stone walls remain, alongside art deco wooden furniture and all the modern fixtures, including LCD TVs and iPod docks. The hotel’s cafe and restaurant are reached via the pavement, avoiding the clinical feel that can befall hotel restaurants. Big city, big lights, at Tantalo Hotel’s rooftop bar. The year-old Tantalo Hotel has 12 rooms, each designed by a different Panamanian artist. Designs range from gentle and flowery to seductive, with red-and-black walls and silver ceiling studs. Downstairs, a “living wall” is made from 900 lush plants. The restaurant dishes up Panama-style tapas, such as octopus with lemongrass and ginger. Cocktails, wine and several dishes to share will cost around $30 a head. Each month, paintings in the communal areas change. “The idea is for the fourth floor to be like an art gallery that you can wander around with a drink,” says assistant manager Catalina Bermudez. The big, buzzing rooftop bar has panoramic views and hosts events including a monthly Cuban music evening. Canal House is a creaky 19th-century mansion in Casco Viejo, and checking in feels like staying with a stately aunt. With just three suites set around a large wooden staircase, this high-end guesthouse is owned by two sisters and loved for its quirky charm and homemade cooking. 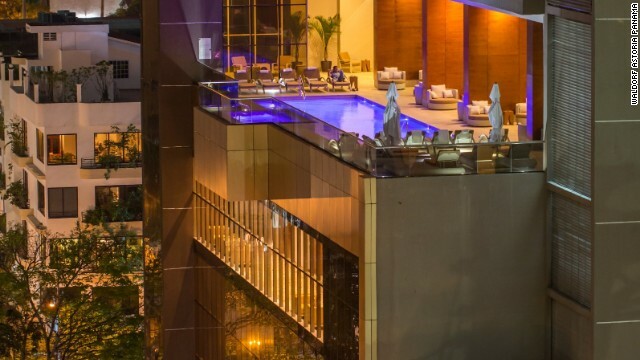 It was called “the finest accommodation that exists in Panama,” by Panama 980 magazine. Restaurante Angel (Via Argentina No. 6868, El Cangrejo; +507 263 6411 begin_of_the_skype_highlighting +507 263 6411 FREE end_of_the_skype_highlighting ) is the city’s special occasion Spanish restaurant. You’ll get impeccably prepared seafood, beef, lamb and rabbit in an elegant setting with crisp service for around $20-25 per person, not including drinks. There’s big food and big atmosphere for reasonable prices at Las Bovedas (Plaza Francia; +507 228 8058 begin_of_the_skype_highlighting +507 228 8058 FREE end_of_the_skype_highlighting ), a French restaurant set in the arched vaults of a 300-year-old fort in Casco Viejo. Fresh seafood, steaks, snails (it’s a signature dish) and great service are the hallmarks at this dressy classic. Blueberry ice cream with sugar cane honey, from Manolo Caracol. Panamanian food is a mix of European, Asian and African tastes. The best way to experience the fusion is at Maito (Calle 50, Coco del Mar; +507 391 4657 begin_of_the_skype_highlighting +507 391 4657 FREE end_of_the_skype_highlighting ). It’s not often you order plantain hash with fried ceviche and come out smiling. Then there’s the ropa vieja main of shredded beef with a goat cheese sauce. Panamanian chef Mario Castrellón trained in Barcelona and returned to his hometown with a mission to start a “new gastronomy” inspired by the canal — the idea being that the waterway literally brings these different influences to the city. For the indecisive gourmand, Manolo Caracol (Avenida Central and Calle 3, +507 228 4640 begin_of_the_skype_highlighting +507 228 4640 FREE end_of_the_skype_highlighting ) serves a set nine-course tasting menu for $36 per person. Busy and smart, yet relaxed, the open kitchen churns out seafood, meat and vegetable dishes made with local ingredients, the majority of which come straight from chef Caracol’s farm. Highlights include seafood bisque, corn tortilla with chorizo, and coconut fish curry with yuca tortillas. Not exactly luxury but tasty and cheap all the same, Mercado del Marisco seafood market (Avenida Balboa and Calle Eloy Alfaro) is a great place to wander. When Anthony Bourdain came to Panama, this was his first stop. Here you’ll find rows of al fresco stalls selling ceviche for $1.25 a cup. There’s also an upstairs restaurant with a larger menu with hearty fish stews and filleted sea bass. New Casco Viejo coffeehouse Bajareque sells the world’s most expensive coffee, Geisha, for a reasonable $6.50 a cup. Panama is the world’s only producer of this rare coffee, which typically retails for $172.50 per kilo. Fitting for its name, Geisha coffee mainly sells in Japan and costs $50 a cup at Tokyo coffee shops like Horiguchi Coffee. The primary nightlife spots are Calle Uruguay and Casco Viejo, both of which are lined with places to sample Panama’s four national beers, Panama, Balboa, Suarana and Atlas, for a couple of dollars. In Casco Viejo, Habana Panama (Calle Eloy Alfaro y Calle 12 Este; +507 212 0152 begin_of_the_skype_highlighting +507 212 0152 FREE end_of_the_skype_highlighting ), isn’t just the hottest dance spot in the city, it’s an atmospheric salsa hall that recalls the elegance of old Cuba and Ricky Ricardo style. Live bands typically don’t hit the stage until midnight. For a typical $10 cover you’ll find fewer better shows (or more fun) anywhere. 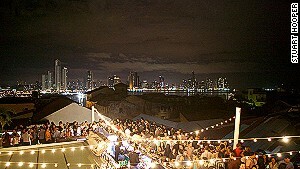 Then there’s Barlovento (Calle 10 A; +507 6613 4345), a tropical-style rooftop bar where the beautifuls hang. With views over Casco Viejo (rather than the Panama City skyline over at Tántalo) and a DJ playing a mix of electronic music and Latin beats, the place is pumping on the weekends. Again there’s a $10 cover charge (if you’re male that is; women enter free) but you’d easily pay a $25 cover for the same deal in Mexico City. 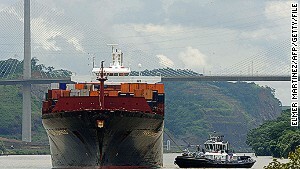 The Panama Canal is one of the world’s top man-made attractions. The oldest section of the city, Panama Viejo was burned to the ground in the late 17th century by British pirate (or privateer, depending who you ask) Sir Henry Morgan. The crumbling remains of towers, forts and houses run along the coast waiting to be explored. The visitors center has a model showing the city before Morgan showed up. The Panama Canal took 250,000 people more than 10 years to build (not counting the original failed French-led effort), transports 40 boats each day (taking eight to 10 hours per transit) and costs an average of $85,000 per vessel. Luckily, tours are a little less, and a partial transit with Canal & Bay Tours costs $135 per person, including breakfast, lunch and transfer though two sets of locks. The Panama Canal celebrates its centenary in 2014, and to mark the occasion it’s undergoing a $5.25 billion modernization and expansion. Progress is best viewed from above. Air Charter Panama arranges one-hour helicopter tours covering the Pacific and Atlantic sides of the canal from $749 for three passengers in a Robinson R44. There are thousands of expats living in Panama: Americans, Canadians, Europeans, and many more from around the globe, who come here for the beautiful weather, the tropical beaches, low cost of living, and because Panama makes it easy to start a business. Add to that a stable banking sector, the fact that Panama has the fastest growing economy in the Americas, and it makes even more sense. And Panama is an exciting place to be. Jobs are being created faster than Panamanians can fill them and the government has been dreaming up incentives for entrepreneurs, multinationals and expats. Panama’s best-known residence program. If you have a lifetime pension of at least $1,000 a month and you’re over 18 years of age, you can qualify for permanent residence in just one application (normally within just six months of applying). If you are legally residing here and if you are of retirement age—60 for men, 55 for women—then you can enjoy most of these discounts no matter which residence program you choose. The title isn’t catchy, but Panama’s newest residence option (let’s just call it the NSC) opens the doors for professionals and entrepreneurs from the U.S. and 46 other countries that "maintain friendly, professional, economic, and investment relationships" with Panama. The NSC’s straightforward requirements include establishing a local bank account with a minimum balance of $5,000. You must also do one of the following: purchase real estate; open a business; or obtain a job in Panama. This visa awards permanent residence straight away. This option is similar to the above, but it is open to foreigners who don’t qualify for the NSC and who would like to work in Panama. Traditionally, would-be residents have had to either invest or have a job with a company with enough Panamanian employees. The new Professional Residence Permit makes it easy to qualify for residence (with no major investment or pensioner status). Reinalda Mata-Kelly is the owner of Mata-Kelly law firm here in Panama. Google them if you need any info on imigration or real-estate legal matters here in Panama ;) They are on my list of trusted law firms.